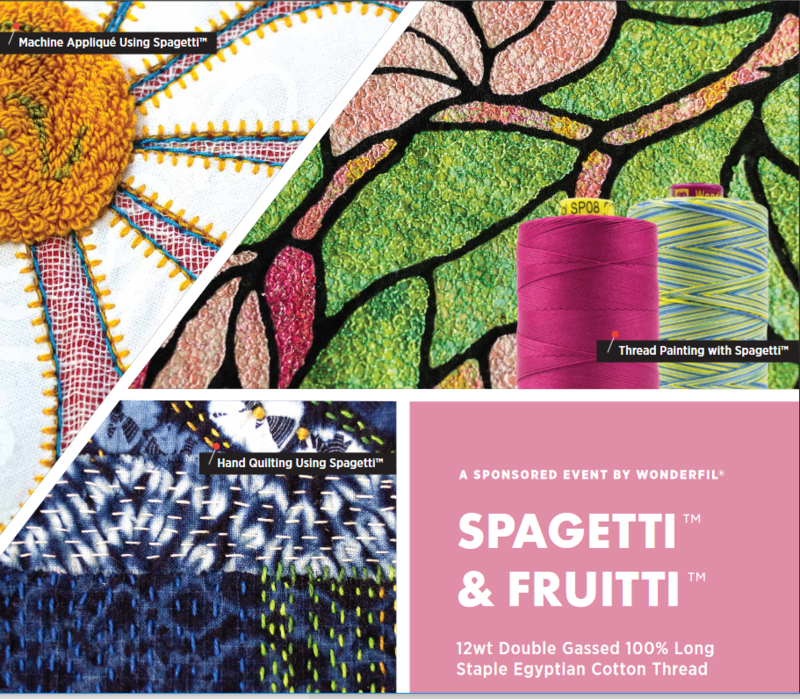 Heavy weight 12wt cottons, Spagetti™ and Fruitti™, will be the feature in the morning hands-on techniques class. Experience how these threads run on your machines, and learn the best settings and decorative stitches to use the thread successfully with an expert Threaducator from WonderFil’s threads. 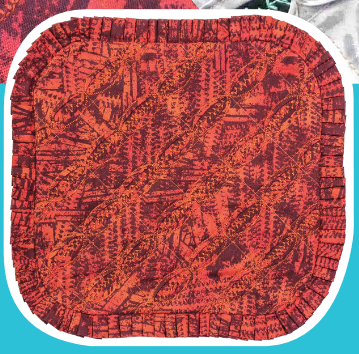 Free motion stitching, decorative machine appliqué, hand quilting, and wool appliqué will be covered, so you will be able to try a variety of dierent utility applications with this unique specialty thread. The goal of this session is to get you familiar with 12wt threads, become comfortable using it, and learn all the dierent ways it can make a dierence in your projects! In the afternoon Sew your own pillow cover with 12wt Spagetti™ and Fruitti™ threads using the cathedral windows technique. This is a gorgeous pattern using folded fabric to create a geometric eect resembling cathedral windows. It is the perfect backdrop to use these punchy 12wt threads to compose decorative stitches and add texture around its design. These threads create a stunning, bold eect that gives you the opportunity to play with these heavy weight threads in your own machine, and learn to apply them to future projects as part of your regular sewing arsenal. You’ll complete this workshop with a beautiful finished statement project, perfect for your home or as a gift. Requirements: Bring sewing machine in working condition. Instructor Bio: Jerrine Kirsch has been a quilting instructor for over 20 years and travels across the United States with various teaching engagements booked throughout the year.